The Committee are delighted to announce that the Invercharron beats on the Kyle have now been secured by KoSAA for the 2019 season. This means that the fishing available to members and visitors this season remains the same as last season and is shown on the Maps page. Membership renewals and applications should be sent to Julia (Mimi) Campbell at 2 Meikle, Lairg Road, Bonar Bridge, IV24 3AW. We have been asked by the KoSDFB to remind our members that any new boats on the Kyle should be registered with the Board in Ardgay. Boat owners only need to register their boats once and do not need to re-register each year. We have been told by Marine Scotland that in addition to catch returns of salmon and sea trout we must supply them with details of the numbers of days fished for salmon each month by our members, even if nothing is caught. PLEASE NOTE THAT ONLY SALMON FISHING EFFORT IS REQUIRED, NOT SEATROUT . 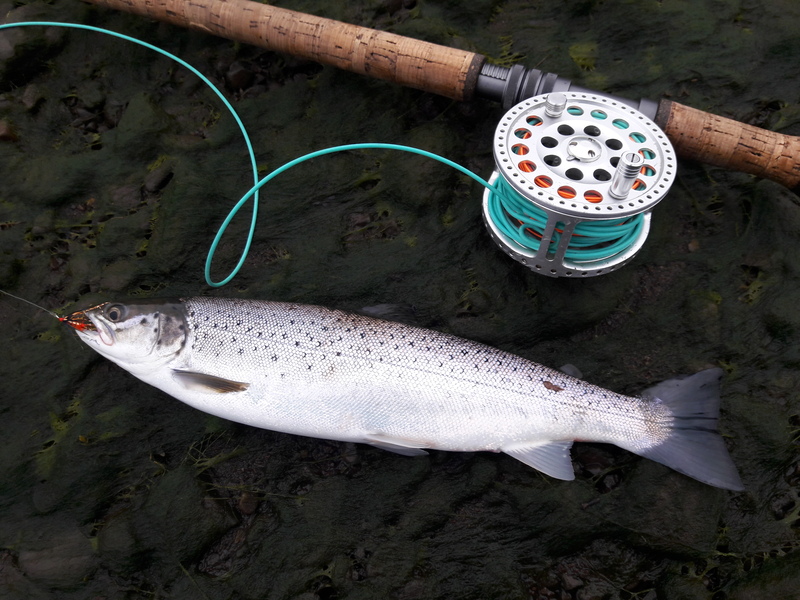 Please keep a record of the number of days on which you fished for salmon each month and record the total on the salmon / seatrout catch return form at the end of the season. Every day fished must be recorded, regardless of the amount of time spent fishing, for example, if you only fish for one hour this still counts as one rod day. The topic sheet from Marine Scotland regarding reporting of rod fishing effort can be found here. The subscription fees for the 2019 season will remain unchanged. The AGM will be held in Edderton Community Hall on Tuesday 12 March 2019 at 7:30pm. Refreshments will be available and there will be a raffle on the night to raise funds for the Association. Our invited guest speaker is unable to attend so there will be no guest speaker this year. All welcome. Fisheries Management Scotland have issued the following guidance. this period of exceptional weather. The Invercharron beats on the Kyle have now been secured by KoSAA for up to the next 5 years.